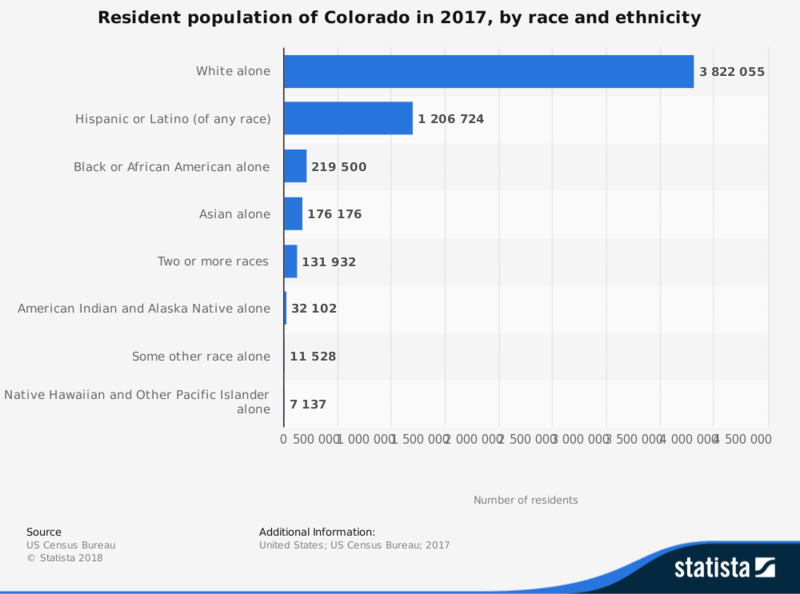 Colorado is one of the most diverse states where you can choose to live in the US right now. It offers the agricultural farming plains in the east, the urban metroplex centers in the central portion of the state, deserts in the west and the south, and then there are the majestic Rocky Mountains to think about when living here. That is likely one reason why the history of Colorado goes back more than 14,000 years. The Folsom culture archaeological site offers artifacts that date to approximately the 88th century BC. This state was it made it to the union on August 1, 1876. It experienced a gold rush in 1850, saw a war between an allied group of Native American tribes and American settlers during the Civil War years, and continues to see economic benefits from mining activities that today include the oil and gas industry. Before you decide to make the move, here are the pros and cons of living in Colorado to consider. 1. Colorado is a four-season outdoor sports haven for everyone. You will find outdoor activities waiting for you in every season of the year when you live in Colorado. The winter months are dominated by skiing opportunities in world-class facilities like Breckenridge or Vail. You can go hiking in the spring in the mountains to enjoy the expansive fields of wildflowers. The summer allows you to conquer numerous Fourteeners that offer stunning summits. When autumn rolls through, the aspen trees in the western part of the state in places like the Grand Mesa give you stunning colors to enjoy. When you can find these benefits with the low humidity levels and extra sunshine that are available, then there always seems to be a call to do something outside. 2. There may be no better place to go skiing than Colorado. There are currently 26 active ski resorts in Colorado that open their seasons earlier than other locations across the United States. You will find that each place offers its own personality that can help you to have a great time. If you want to go skiing with the family and want to learn more about the sport, then Granby Ranch Ski Area is a wonderful location to consider. Aspen and Vail offer multiple runs (and timeshares) that can help you to enjoy challenging runs at a time that works well for you. There is something for everyone here when skiing is your top priority. 3. Colorado has better weather than most other states. There is a saying that you will hear often when you live in Colorado: “If you don’t like the weather now, then wait for 15 minutes and it will change.” Although the climate can sometimes be unpredictable and challenging, you will find that the days of sunshine come around more often and the humidity levels are typically lower. Denver receives over 300 days of sunshine each year. If you go further west to cities like Grand Junction or Montrose, then you can receive even more. Then there is the fact that you can travel for an hour and change whatever weather you don’t like. 4. The quality of medical care in Colorado is generally higher than in other states. The U.S. Department of Health and Human Services ranks the state of Colorado as one of the top 10 providers of medical care in the country. The state ranked third in the United States for overall well-being, ranking financial security, community relationships, social opportunities, physical health, and a sense of purpose as the top factors. When the outdoor activities combine with the emphasis on wellness, it reduces obesity levels. The state is often rated as one of the healthiest in the country every year. 5. You will find iconic views waiting for you in Colorado. If you decide to live in the urban metroplex areas of Denver or Colorado Springs, then you will see the mountains virtually every day. You can choose to live in communities like Silverthorne or Vail to make the mountains your home. There are gorgeous lakes and rivers in the east that will allow you to find a quiet spot to rest and relax. Head out to the west to enjoy national parks and monuments to explore. Then there are the Maroon Bells, which are often touted as being the most photographed place in the state. You will find that the pictures taken of these peaks do not give the area justice. When the aspen trees turn yellow in the fall, there may not be a more beautiful spot in the world to be. 6. Colorado puts you a day trip to almost anywhere when you live there. One of the best day trips that Colorado offers is for people who live in the west. You can make it to Las Vegas in about 8 hours if you start the drive from Grand Junction. If you don’t want to travel that far, then everyone in the state can make it to Moab, UT, for a day of adventure at Arches National Park or Canyonlands. There are plenty of fun trips to take within the state as well that are all within 4 hours of driving for most people. If you get up early enough in the day, you can even make it up to Yellowstone National Park to do some weekend exploring. You are centrally located when you live here to more than a dozen national parks or monuments. 7. You have the option for legalized marijuana in the state. Colorado was the first state in the country to formalize the recreational marijuana market. It earns several billion dollars in revenue that help to fund educational programs and infrastructure projects. Look for the green signs, and you will see products sold in most communities on a frequent basis. You will find a lot of competition here if you want to get involved with the industry, but it also has the best infrastructure available out of any state that has also shifted their perspective on this item. 8. You have liberal and conservative elements in Colorado. The political leanings in Colorado are about 50-50 when comparing liberals and conservatives. You will find that the liberal centers tend to be along the interstate corridor that runs parallel to the Rocky Mountains. The conservative areas run along the eastern and western portion of the state. There will always be some people who feel uncomfortable about their perspectives compared to where they live, but it is a state where most people are willing to have an honest debate instead of offering random judgment. 9. The food is incredible when you live in Colorado. You will remember the first time that you bite into a Palisade peach. Green chili is another local favorite that everyone enjoys. Make sure that you take some time when living in Colorado to visit the Olathe Sweet Corn Festival. When you visit a farmer’s market in the state, you will find that what grows there is amazing. Spend a weekend touring the vineyards around Mt. Garfield and you would swear that you were in the Napa Valley. 10. There are craft breweries everywhere in Colorado. Beer is one of the industries that helps make the state economy tick when you live in Colorado. You will find large breweries and microbreweries are all present throughout the state. From Coors to Breckenridge Brewery, there is something that appeals to everyone’s tastes that is found on store shelves. As an extra bonus, the 3.2% beer law that came about from the Prohibition era went away on January 1, 2019, so now you can buy your preferred products at whatever store you shop. 1. The cost of living in Colorado is higher than most of the rest of the country. 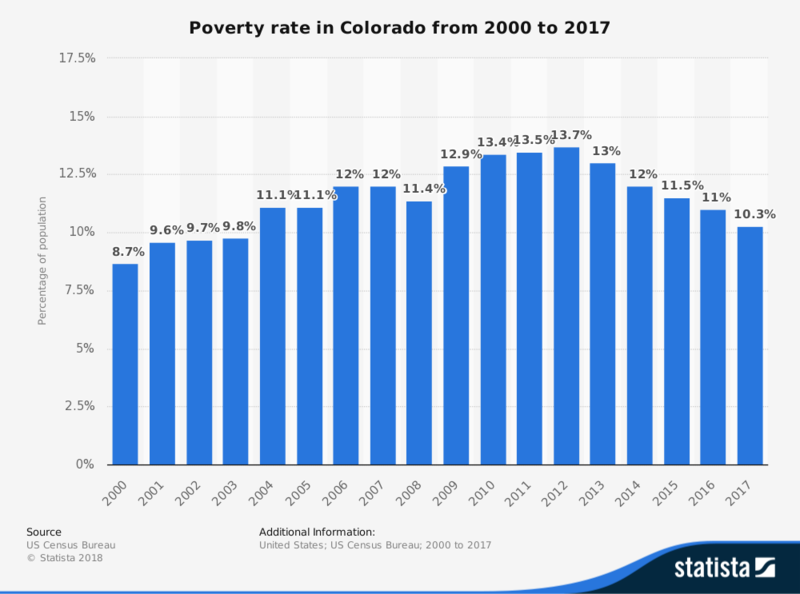 If you want an example of what it takes to live in Colorado from a cost standpoint, then the Vail McDonald’s will give you all the information you require. Almost everything on their menu costs twice as much as it does at any other location. There is a 50% markup on almost every item that you will find in the restaurant. If you’re picky about where you live and shop, then you can manage these costs to an extent. Expect to pay more for fuel, groceries, and other common items, especially if you choose to live in Denver or in the mountains. 2. Traffic in Colorado can be as bad as it is in Chicago during rush hour – all the time. If you are used to living in a city, then rush-hour traffic is something that you expect to manage at some level. You know that if you travel during off hours, then you can handle your driving times wisely. That is not the case when you live in Colorado. Rush-hour happens all day, every day in almost every area of the state. Weekends are particularly bad because everyone is either going to the mountains or going to the city. That means a 60-minute drive can quickly become a six-hour journey unless you drive during the overnight hours. 3. New residents are not always treated with respect by the locals. You will find two different attitudes from local residents in Colorado when you first move there. When you live in a rural community, there is general acceptance of your presence assuming that you’re there to contribute in some way. If you decide to move to one of the cities, then be prepared to receive the stink eye more often than not – especially if you move to the state from Colorado. Many residents here blame transplants for the low housing inventories and high real estate costs that are currently in the state. 4. If you like to go swimming, then Colorado doesn’t have much to offer. Colorado is not a state where swimming is a common activity. You will find several reservoirs and lakes throughout the region that offer some boating opportunities. There are whitewater rafting options along the Colorado River. If you want to take a quick dip, however, then you will find that the water is usually very cold. When you do decide to take a swim anyway, then the bottom tends to be rocky and painful to your feet. Most of the waterways are better suited for fishing and boating activities. 5. The housing market is a nightmare in Colorado. It is true that this disadvantage applies to several states throughout the country. The issue the Colorado faces involves the speed of home prices rising compared to the rate of inflation. There are plenty of jobs to find in Colorado, but they do not pay enough to get the average family into the typical starter home. The average price of a home in the state is over $530,000 as of 2018. Starters are typically $330k or higher. You can find cheaper prices out in the isolated communities of the west, but even they are priced higher than what the local market typically pays. 6. Discrimination in Colorado exists more than many people realize. The issues with Masterpiece Cakeshop in Lakewood make the headlines for this disadvantage in Colorado, but it is a symptom of an overall attitude that you will find. Many people in this state prefer to work with others who come from a similar perspective. If someone doesn’t like how you look, how you talk, or even the way you dress, then they might refuse to serve you – or they will do so poorly. Even though longstanding state laws prohibit this issue, it is practiced more often here than in other states. That’s not to say that everyone does this. There are numerous businesses that will work with you to meet your needs. The few that do not count higher here than they do elsewhere. 7. Drivers set their own rules when on the road. Colorado is one of the states that offers a 75mph speed limit on open stretches of highway. You will find that most drivers who prefer the left lane will exceed whatever the posted amount happens to be by at least 15mph. If you aren’t speeding at that level and someone comes behind you, then move over to the right lane or expect to be tailgated, have the brights in your eyes, flipped off – or all three. The state patrol does their best to put restraints on this issue, as do local officers, but driving slow in the fast lane is the biggest pet peeve that people have here. The pros and cons of living in Colorado have you balancing the opportunities to explore the outdoors while trying to afford your housing situation. If you can afford to be here or have a job offer that will get you into a home, then you will have an amazing experience. Take care to balance the potential issues you may face to ensure that you have a wonderful time exploring the various biomes this state offers.